Happy Australia Day! The rain has put an end to our normal Australia Day activities of bbqs and catching up with friends so we are instead we at home just hanging out, watching kids movies and of course, baking! Last year I made real lamingtons with the kids but it was a bit fiddly for little fingers. This year I decided lamington cupcakes were the go. Much easier. We did most of this while Charlie was having his nap. We still ended up with 1 smashed plate and 3 smashed cupcakes but such is the joy of cooking with kids! At almost 4 years old Oscar loves to help in the kitchen. He can pour in ingredients, stir and is even getting quite adept at cracking eggs! For these cupcakes he also placed the paper cases in the muffin tray, spread icing and sprinkled on coconut. Some of my fondest memories of childhood are helping to cook and of course licking the spoon. I really hope to pass on such memories to my boys. 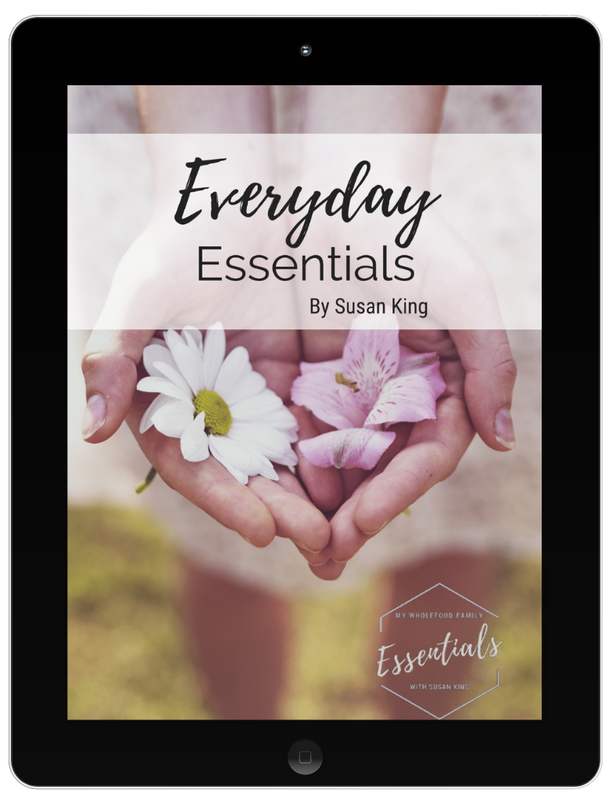 One of my goals for this year is to get both boys more involved with daily tasks. They both help a lot but don't really have any little jobs that are always just for them. I have already started getting them to help set the table with their own plates, bowls and cutlery. They have been their things in the sink almost since they could walk. Anyway, back to the cupcakes. 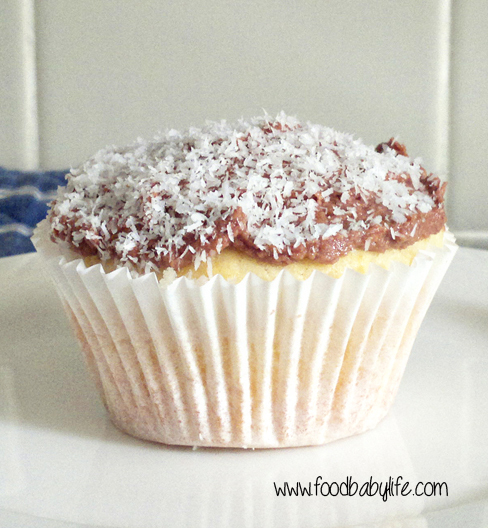 I won't bother posting a recipe here as it is a basic vanilla cupcake with chocolate icing, raspberry jam and dessicated coconut. A quick google search will give you a recipe. 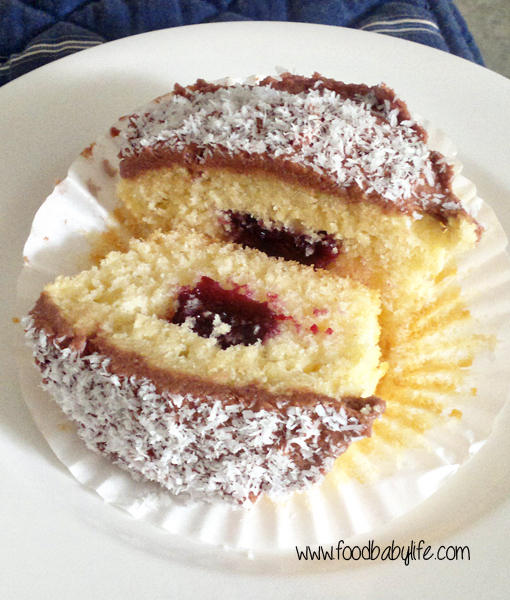 These lamington cupcakes were absolutely delicious and the perfect sweet treat this Australia Day. Hope you're all having a good one!